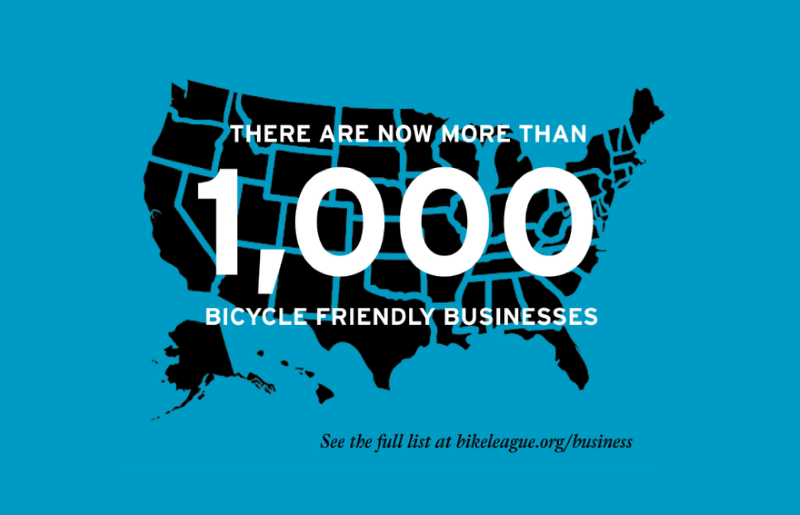 The League of American Bicyclists has welcomed 43 new and renewing Bicycle Friendly Businesses (BFBs) to the Bicycle Friendly America program. More than 1,090 visionary businesses from across the country have earned this status over the past 7 years. Two states welcomed their first BFBs: Shreveport, Louisiana’s Great Raft Brewing received a Silver Award, and Oklahoma City’s Allegiance Credit Union earned a Bronze Award. Now there are BFBs in 49 US states and the District of Columbia. One important element in a Bicycle Friendly Community (BFC) is a transit system that welcomes bikes. New Gold BFB, Capitol Metropolitan Transportation Authority, brings bicycle-friendly transit to Austin, Texas, a Gold BFC. Over the last 12 months, more than 315,000 customers secured their bike on Capitol Metro bus racks. For multi-modal commuters, the newest MetroBike shelters feature double-tiered bike racks and bike repair stations. RPM Transportation Consultants in Nashville, Tennessee, moved up from a previous Gold BFB level as this round’s only Platinum BFB. RPM President Bob Murphy is “thrilled that RPM was recognized as a Platinum Bicycle Friendly Business. We live and work in a state that has among the highest obesity levels and poorest health, and our city, is increasingly challenged by traffic congestion. In Maryland, the Johns Hopkins University Applied Physics Lab (APL) moved from Bronze to Silver BFB status this year. While doing so, they quadrupled their bike parking capacity and introduced a bike share program. The Trek Bicycle Store of Schererville, Indiana, earned a Gold designation this year by taking the lead in bike advocacy and education in north western Indiana. General Manager Paul Jellama said, “About 10 years ago we wanted to start encouraging the community to become more aware of cycling.” As a result, the Trek store worked with local governments to connect trails and created a volunteer ambassador group. Seeing the need for education to connect newer riders with bike skills and how to use local trails, they changed the focus of their shop rides. The Bicycle Friendly America program provides incentives, hands-on assistance and award recognition for communities, universities and businesses that actively support bicycling, and ranks states annually based on their level of bike-friendliness. These programs are supported by Trek Bicycle.